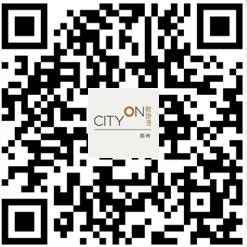 Shopping is On, Entertainment is On, Style is On,Dining is On, Beauty is On, it’s All On, at CityOn. Taubman Asia is a subsidiary of U.S. Mall operator Taubman Centers - a leader in the shopping center industry. Taubman Asia is the platform for Taubman Centers' expansion into China and South Korea and focuses on owning, managing, and/or leasing high-quality and sustainable retail real estate projects in Asia that leverage Taubman's strong retail planning design and operational capabilities. For more information about Taubman Asia, visit www.taubmanasia.com. Founded in 1955 at China’s busiest commercial street in Beijing, Wangfujing Group Co., Ltd has enjoyed a history of over 60 years. Over the last 60 years as China transformed to a market-oriented economy, Wangfujing Group Co., Ltd has enjoyed a reputation at home and abroad as evolving from the first store of new China to the top department store in China, leading the retail industry development. Never having deviated from its original mission, the group continues to be recognized as the industry leader, committed to transforming its traditional department store business into a modern retail group. The group’s current sales network spans seven major economic zones in China, operating 46 large-scale retail stores in 28 cities, covering various retail formats including department stores, shopping malls and outlets business formats. The group offers an operating area of approximately 2 million square meters.